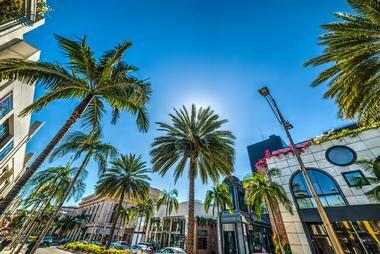 Beverly Hills, California, is an icon of luxury, fame and wealth. While Hollywood stars make Beverly Hills, CA their home, shop at Rodeo Drive, eat at the fabulous restaurants and relax at the spas, the rest of the world enjoys visiting this mesmerizing city and its world-famous attractions. Taking a tour of the star’s homes is one of the most popular activities, as is a visit to the historic Greystone Mansion or the famous Beverly Hills Hotel. Here are the best things to do in Beverly Hills, California. When you hear the name Beverly Hills, the words shopping and Rodeo Drive immediately spring to mind. Rodeo Drive is a two-mile long street replete with luxury, fashion, and entertainment, and one of the top Beverly Hills attractions. See famous landmarks such as the Beverly Wilshire Hotel, the statue “Torso," and the House of Bijan. Here you will find stores dedicated to Dior, Gucci, Tiffany & Co., and many others. Even if shopping is not your thing, the history of this area and its presence in pop culture has made it one of the most visited streets in the world. In the immortal words of Vivian Ward, it would be a “big mistake” to miss a chance to shop on Rodeo Drive. Mulholland Drive is world famous as the home of Hollywood celebrities. Though they are often hidden behind gates and towering trees, you can catch of glimpse of a number of lavish, some of which are the most expensive homes in the world. Mulholland Drive is a 21-mile long road that will take you from the Santa Monica Mountains to the Hollywood Hills, offering breath-taking views of the Los Angeles Basin, the San Fernando Valley, and the famous Hollywood Sign along the way. There are many tour companies that will show you where celebrities live and tell you the history of Mulholland Drive. Mulholland Drive is an essential part of any trip to Beverly Hills. Greystone Mansion and Gardens, the 1927 home of billionaire Ned Dohne Jr. and his wife Lucy, is one of the best things to do in Beverly Hills, California. The 55-room mansion sits on 16 acres of land and is a stunning example of the English Tudor Revival. Visit the expansive gardens with beautiful flowerbeds, towering trees, and fountains. Tours inside are only held on Saturdays and sell out months in advance. The mansion is a popular filming location and can lay claim to serving as the Chilton Academy in Gilmore Girls and Rachel’s house in The Bodyguard. 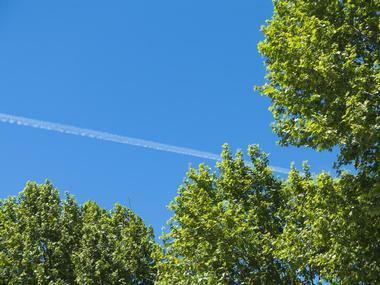 It is free to visit the gardens, so why not while away an hour or two in this simply beautiful setting? The Frederick R. Weisman Foundation is dedicated to making Frederick R. Weisman’s private collection of both modern and contemporary art available to the public. With over 400 works on display, you will find works by Picasso, Kandinsky, and Warhol, along with many other acclaimed artists. The foundation offers guided tour by appointment, allowing visitors a chance to visit not only the foundation but also the foundation estate, annex, and surrounding gardens. Exhibitions are constantly changing; no two visits are ever the same. It is time to head back outside with a trip to the Virginia Robinson Gardens. 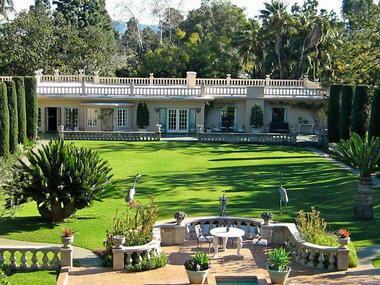 Located in the heart of Beverly Hills, this six-acre property will take your breath away. There are plenty of gardens to visit, each with their own style and theme. The Italian Renaissance Terrace Gardens offer magnificent views of mature trees, camellias, gardenias, and azaleas. 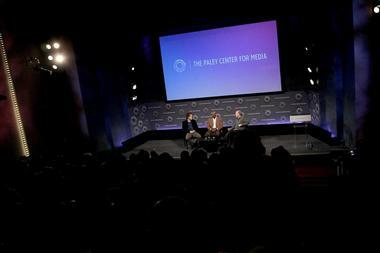 The Paley Center of Media was once known as the Museum of Television and Radio and the Museum of Broadcasting. Now combined, the Paley Center is recognized as one of the leading centers for the discussion on the cultural, creative, and social impact media has had in both the professional community and on members of the public. Will Rogers Memorial Park is a public park in the heart of the city. Constructed in 1912, the small park has been popular with families ever since and is a highly visited tourist spot. As you meander through the winding paths you will find a large pond with a majestic fountain in the middle, which is dedicated to Margaret J. Anderson, the first owner of the Beverly Hills Hotel. The park features expansive lawns, rose gardens, and palm and dragon trees. The Will Rogers Memorial Park is the perfect place to stop and rest after a successful shopping trip on Sunset Boulevard. 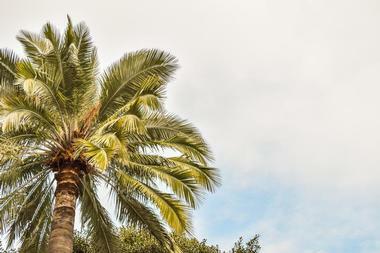 The hidden gem of Beverly Hills is the Franklin Canyon Park. Nestled between the San Fernando Valley and Beverly Hills, the park sits of 605 acres of chaparral, grasslands, oak forests, lakes, and hiking trails. The trails are graded by difficulty, and there are a number of easy loop trails, making a visit to Franklin Canyon Park accessible to everyone. Tempura Endo is a tiny upscale tempura bar in Beverly Hills with eight chairs overlooking the kitchen and eight more at the small Zen-like dining room. This import from Kyoto offers tempura the way the Japanese eat it, with a stream of tiny morsels of rare wagyu, uni, or king crab breaded in a batter containing California chardonnay and deep fried in giant copper vats, served omakase style. The fixed menu consists of a seasonal appetizer, sashimi, hashiyasume (a side dish to refresh your palate), a special salad, and a rice dish. As you watch the magic happen in front of you, enjoy your drink – you can get anything from high-priced champagne to imported Japanese beer, a huge selection of hot and cold sake, and a respectable wine selection. There is also a dinner à la carte menu. 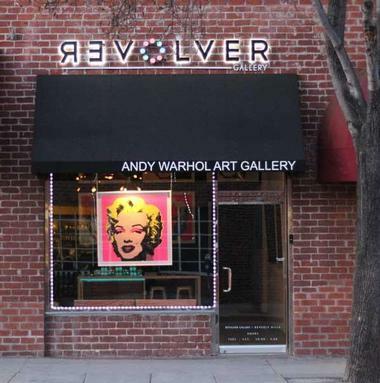 For lovers of Pop Art and one of its leading figures Andy Warhol, you cannot pass up a visit to Revolver Gallery. Here you will find everything Andy Warhol and nothing else. 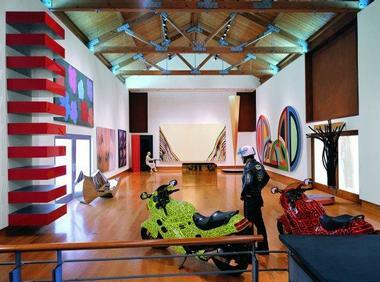 Home to over 150 original prints and paintings, the Revolver Gallery boasts the biggest Warhol collection in the world. The museum aesthetic is classic pop art, with a flower mural adorning the ceiling and minimalistic décor; it is worth popping in for a visit. For the collectors amongst us, the Gallery has over 200 works for sale, so find your favorite print and add it to your collection. The gallery promises a fun, simple, yet stylish night out in the city. 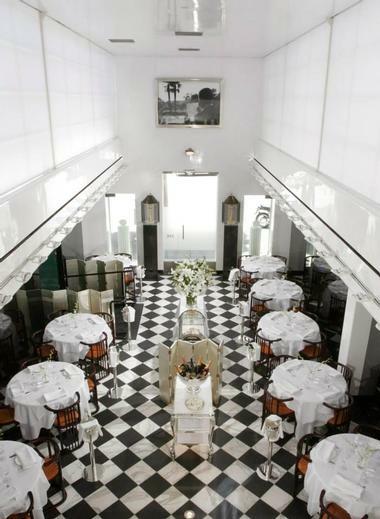 Villa Blanca is a romantic, elegant, and exquisitely decorated restaurant that serves an interesting fusion of Italian, Mediterranean, and Asian cuisines. The atmosphere is relaxed, music is soft, and tablecloths are crisp and white. 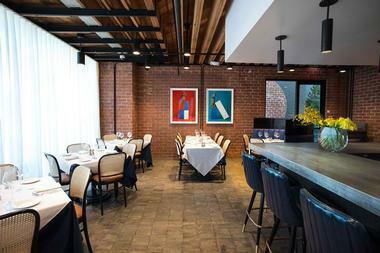 There are plenty of fresh flowers around the dining room and original art hangs on the walls. It is the place where you can bring a client you want to impress and where you can frequently rub elbows with a celebrity or two. But, the best reason to come is the food. Try their Ahi Tuna Tartare – raw tuna with cucumber, avocado, aioli, scallions, and balsamic reduction, which is served with basil, capers, tomatoes, and truffle chips. They also offer a fantastic Sunday brunch, when they serve everything from smoked salmon scramble to pizzas and steaks with a mimosa or two. It took 5000 years to develop Chinese cuisine, striking a fine balance between science, art, and tradition. Every meal is important, and every ingredient plays a role and is selected carefully. Mr. Chow brings the best of Chinese cuisine to his modern, upscale restaurant in Beverly Hills, where contemporary décor, a high ceiling, and interesting industrial touches enhance your dining experience, allowing you to enjoy the best Beijing duck in the world or watch the traditional Handmade Noodle Show by your table. Every dish that award-winning Executive Chef Yi Jia Qian and Master Chef Eddie Wong serve is a perfect balance of tastes, fragrances, textures, and colors. Expect an unforgettable gourmet experience. Nerano is a hip contemporary Italian restaurant in Beverly Hills, opened in 2016 and inspired by owners Andy and Carlo Brandon-Gordon's trips to the beautiful Amalfi Coast. The upscale restaurant offers lunch, dinner, and aperitivo hour service daily, highlighting delicious Mediterranean-influenced gourmet fare such as spaghetti vongole, garganelli al ragu, and tagliolini al limone. Wood-fired Neapolitan pizza options include classic bianca and margherita variants, while land and sea entrees highlight Gulf spot prawns, Mediterranean branzino filets, and wagyu New York strip steaks. An extensive Italian wine list is available, along with specialty signature cocktails highlighting small-batch and infused liquors. If you want to spot celebrities in Beverly Hills, you do not have to go on a famous homes tour. Just come to Nate ‘n Al for some hot dogs. This Beverly Hills institution, established in 1945, is the place where many famous personalities are on a first name basis with waiters. People who used to come here for corned beef sandwiches with their grandfathers and now are coming with their grandchildren. 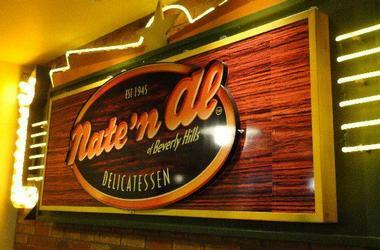 Nate ‘n Al makes you feel welcome whether you are an Oscar winner, a tourist, or just someone who lives around the corner. They remember your favorite drink and dish and before you know it, you’ve become a regular. Some stop by for the atmosphere, of course, but let’s face it, everyone comes for their world-famous hot dogs, corned beef, lox and bagels, potato salad, short ribs, burgers, and matzo balls, among other treats. 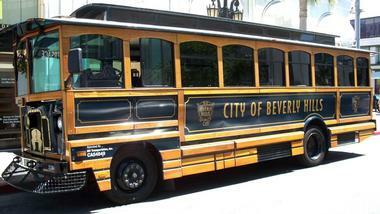 Give your aching feet a break with a Beverly Hills Trolley Tour. 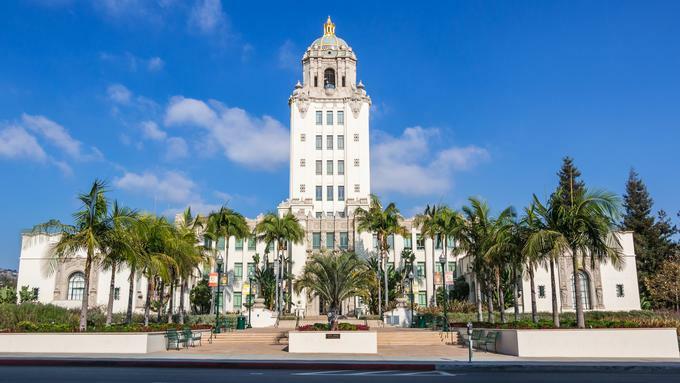 Jump on board and take a 40-minute tour through downtown Beverly Hills and see famous sites such as Rodeo Drive, the Beverley Wilshire Hotel and Mulholland Drive. The tour is fully narrated and gives you an overview of the art, architecture, history, and culture of the vibrant city. A trolley tour is the perfect way to gain an insight into a city before striking out on your own. At Tagine, you can snuggle among plush pillows on a long banquette, relax in a cozy, intimate atmosphere surrounded by exotic Moroccan lamps and flickering candles, and see which delicacies Chef Ben Benameur has to offer. Ben learned to cook in his mom’s kitchen, the center of family life, and he set out to bring tradition to the 21st century and to the trendy world of Beverly Hills. His imaginative, modern take on the centuries old Berber cuisine results in treats such as Berber couscous with seven veggies or Lamb tagine in honey sauce with dates, prunes, and cinnamon. 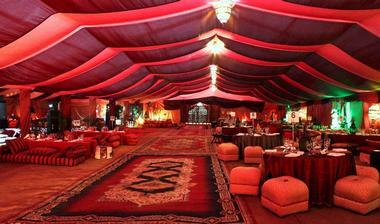 If you are not familiar with Moroccan cuisine, go for the tasting menu and try a bit of everything. Tagine also has an excellent, well-stocked wine cellar. Visiting the Polo Lounge when staying in Beverly Hills is a must. This legendary establishement has been the place for power breakfasts, relaxed Sunday brunches, and afternoon drinks for decades for all Hollywood movers and shakers, politicians, and business tycoons. There are three dining rooms including an outdoor space covered in flowering vines and bushes. The restaurant is refined and luxurious, there is always excellent live music, and the modern American and Mediterranean cuisine does not disappoint. Get the most out of the welcoming atmosphere by coming for Sunday jazz brunch. Enjoy excellent Kir Royal or a mimosa with decadent treats such as Almond-crusted French Toast or Vol au Vent Benedict with lobster, mushrooms, baby kale, poached egg, and lemon Hollandaise sauce. 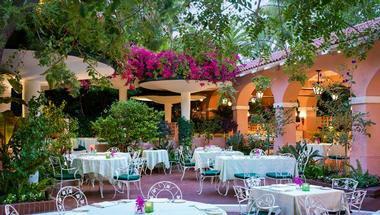 Spago is a legendary, award-winning restaurant co-owned by celebrated chef Wolfgang Puck. It is the restaurant that sets standards for all others. Recently renovated to reflect modern esthetics with natural elements, simple lines, and an inside-outside feel, the restaurant is a visual delight you can enjoy long before you see the menu. And that is when the fun starts. Wolfgang Puck is known for having started the revolution in modern eateries by insisting on using local, fresh, and seasonal ingredients. James Beard Award-winning chef Lee Hefter uses this philosophy to create imaginative seasonal menus that offer the best of California’s ranchers, farmers, and fishermen. If you want to try a bit of everything, your best bet is to go for the California Tasting Menu. Spago has a spectacular wine list with more 30,000 bottles. 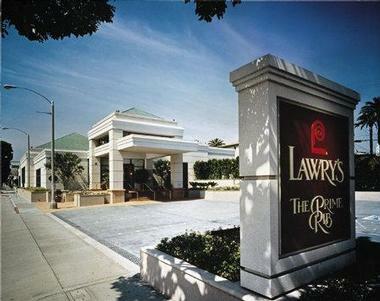 Lawry's has been a Beverly Hills dining favorite since 1938. You don’t even need to look at the menu when you get there – just go for their world-famous, succulent, tender, and delicious roasted prime rib. 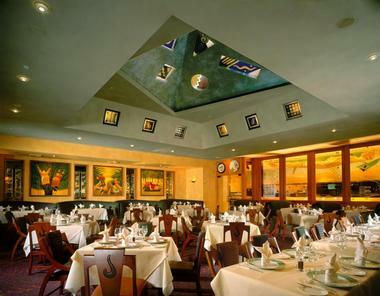 Eating ribs at Lawry’s is something of a ritual: you settle comfortably into an elegant dining room with a spectacular mural and exquisite décor, and the chef rolls a silver cart to your table with freshly roasted rack of prime rib. All you have to decide is which cut you want: the choice ranges from the thin California cut to an extra thick Diamond Jim Brady cut with a rib bone. Every choice comes with the Spinning Bowl Salad, mashed potatoes, Yorkshire pudding, and whipped cream horseradish. You will have an absolute feast. Take a trip to the Margaret Herrick Library and see the world of motion pictures take shape before your eyes. Wander amongst thousands of books, periodicals, photographs, scripts, and special collections that have been amassed since the early 1900’s. The Graphic Arts collection holds over 42,000 items representing some of the earliest films ever made as well as current releases and everything in between. The library holds over 10 million photographs that include stills, candids, and behind-the-scene production shots. Be captivated for hours as you see and experience each era in filmmaking. 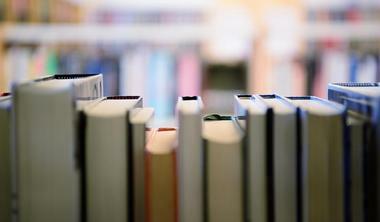 A trip to the Margaret Herrick Library is the perfect day out for the movie buff among us.